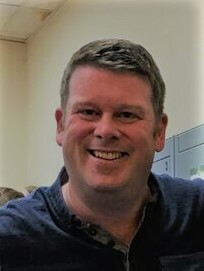 Niall commenced as the Operations Manager of TILDA in 2017. His role is to ensure the smooth running of the project, creating a positive and productive work environment and ensuring that progress is made on the multi-year strategic plan. Niall’s research interests are varied including the importance of productive occupations to health and social inclusion and interventions to improve employment outcomes amongst people with mental health conditions. In 1995 Niall graduated from Trinity College Dublin with an honours Bachelors of Science degree with a professional qualification in Occupational Therapy. He returned to Trinity in 2009 and completed a Master’s of Science Degree by Research under the supervision of Dr Paul O’Mahony. Niall has published over 40 peer reviewed publications and a number of book chapters. In 2009 he received a research scholarship from the Mental Health Commission to complete a clinical trial of supported employment for people with schizophrenia spectrum conditions. In 2017 Niall completed a post graduate certificate in Workplace Stress Management at the Waterford Institute of Technology. Niall is a Registered Occupational Therapist and is a member of the Association of Occupational Therapy of Ireland. He is currently the Editor in Chief of the Irish Journal of Occupational Therapy. He is also a member of the Research in Occupational Therapy and Occupational Science (ROTOS) committee which was established to develop a research plan and network for European Occupational Therapists and Occupational Scientists. Prior to joining TILDA, Niall worked in a variety of roles in the Cluain Mhuire Community Mental Health Service in Dun Laoghaire Rathdown. For ten years he was the Project Manager of the DETECT early intervention for psychosis service, the first service of its kind in Ireland. In 2009 this project was awarded an Irish Healthcare Award. Most recently Niall was the Occupational Therapy Manager of Cluain Mhuire. He left this post in 2017 to take up the opportunity to work at TILDA.